I DID IT! I FINALLY DID IT! 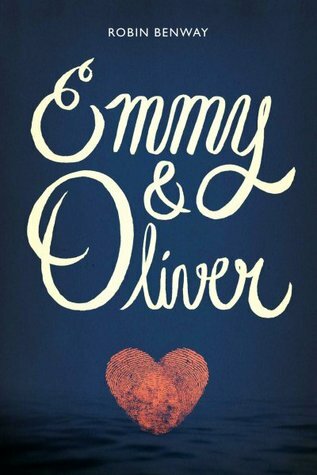 I have been hearing SO many amazing things about Emmy & Oliver that I needed to see what all the hype was about. And the hype was deserved...Very much deserved! I wasn't quite sure what to expect when finally cracking open Emmy & Oliver. I was a little nervous and hesitant because I have been known to fall for the hype before and have the book not win me over. However, that was not the case with this gem. Let's start off with Emmy. Simply put, she is amazing. Emmy is hilarious, sarcastic, sweet, bold and everything in between. Her wittiness and harmless sarcasm kept me laughing out loud throughout the entire book. Then there is Drew and Caro(a.k.a. Caroline, but don't ever call her that!). They are 2 of the most epic best friends in literature history! Seriously, this character trio will have you falling in love with them instantly. Aside from their humour and amazing one-liners, they are beautiful, supportive...They are all of the above! And then, let us swoon talk about Oliver. Yes, he is absolutely swoon-worthy and has a sense of humour that is a perfect match for Emmy, but that barely skims the surface with Oliver. He is tender, broken, incredibly sweet. afraid and vulnerable. The pain that he is enduring is raw and radiates off the pages. There were moments where I was absolutely aching for him. When first falling upon Emmy & Oliver you don't really know what your getting into. The cover is simple along with the title but they say that the best things come in small packages and that is certainly the case with this novel! It's funny, witty and heart-breakingly beautiful. You will laugh, you will cry and you will laugh while crying. I devoured this book but savoured every moment. It truly is a wonderful read and definitely falls on my top 5 all time favourites! Next chance you get, grab a copy of Emmy & Oliver, cozy up under a blanket, or under the sun with a cup of whatever you like and get reading! I just read this one not too long along and loved it for all the reasons you listed! Great review! Enter to Win a Kindle Fire HD & Six Free Books!